In makes your phone more than 10 times more scratch resistant! Actually under tests we did we could not scratch it with even a razor blade and definitively not with the traditional keys and coins we have in our pockets. The colors on the screen become more vivid and clearer. With a plastic protector your screen becomes dull and unclear. The Nanofixit product really makes your screen crystal clear. The phone becomes water resistant. So anything you spill on the glass just runs off it. It has an anti-bacterial feature so bacteria does not stick to your phone . When you wash your hands you do it to clean your hand from bacteria and then you touch your phone, the most bacteria infected item you have in your ownership. The days of having bacteria on the glass you put on your face to talk to your misses are over. It increased the megapixels on your phones camera with up to 50%. Under tests the camera becomes cleared and brighter and works better in the dark as the nano coating creates a filter on the camera that actually works capturing the light better. Your finger slides smoother on the screen and works faster. Plastic on the screen will make your screen less responsive and now there is no plastic hindering your touch on the screen any longer. When you buy a bottle of Nanofixit you can use it for much more than that single Cellphone. You can also use it for your Tablet, your other family members phones and even your sunglasses. 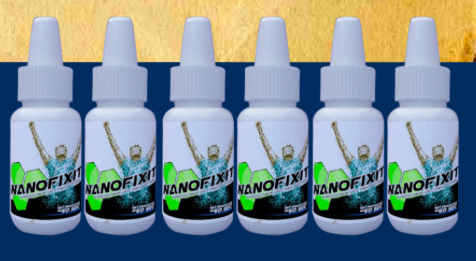 NanoFixIt is really a product that works. We all know that screen protectors are in demand nowadays since mobile phones are also in demand.